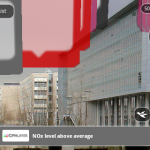 Copenhagen Layer is the name of an environment monitoring initiative which shows you local conditions in Augmented Reality on your mobile phone. 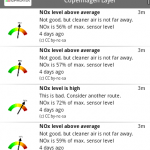 These environmental conditions are continuously sampled from the city by volunteering bike messengers who carry around tiny measurement devises – senspods – and upload this data in real time to the Copenhagen Layer data center. Currently the project runs in Copenhagen only, so if you’re not in in the neighborhood you’re out of luck to experience the project yourself. 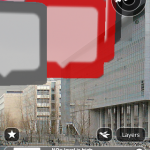 Good news: as of today the same data can be viewed on the map at copenhagenlayer.org. 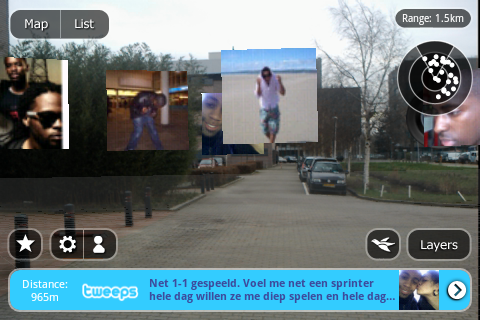 The site is still under development and we are actively experimenting with different visualization methods. As more data becomes available, more aggregate data may lead to richer views and more consistent data. At the moment only NOx levels are being used while the deployed sensor type is capable of measuring far more parameters, like COx, temperature, humidity and noise level in dB. Now that the Copenhagen Conference is over we are left with a disappointing end statement. Apparently this was the maximum our world leaders could achieve when they got together: the potential was huge, the output (very) disappointing. In this light I’m very proud to present a local grass-roots initiative to bring street level measurements of environmental pollution to the real time web and your mobile phone. 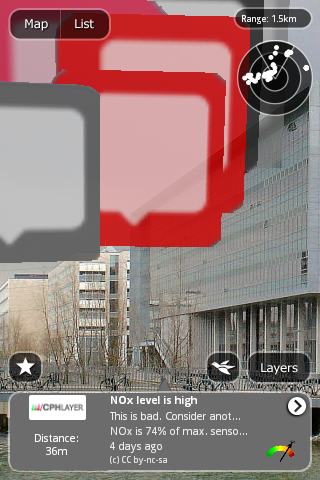 Please meet Copenhagenlayer.org and its Augmented Reality counter part Copenhagen Layer (link opens Layar app on your mobile device, only useful if you’re in Copenhagen). 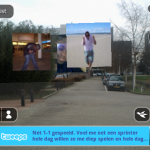 make these data points visible using Mobile Augmented Reality. The result is impressive, using your mobile phone you can experience what the environmental conditions are in your direct neighborhood, and if you’re lucky this data is measured just a few minutes ago! 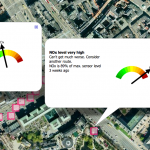 Although not yet directly related to the big picture of the Copenhagen Conference with its focus on CO2 reduction, this project may evolve so that a future version can even visualize the real-time carbon footprint of traffic in the city. I actually think copenhagenlayer in it’s current state will make a greater impact as part of the COP15 long tail than it could have during the summit. By focusing on the enabling possibilities of street level measurements we can now show some grassroots action that the politicians couldn’t. This is a good story with a fair chance of making it through the journalistic filters. And so it is indeed. Just keep in mind that this project is in its early stages. The measurements are not very well calibrated yet. Interpretation is always risky and indicative at best, but the trends are real and it is very revealing to see the enormous difference of being surrounded by busy traffic or being amidst a calm city park. There are lots and lots more data available from the senspods than NOx alone, these will be integrated once a solid model for interpretation will be established. And with more sensors and more data points available all kind of aggregated views can be constructed and more reliable conclusions drawn. Heatmaps, rush hour vs. mid day traffic, summer vs winter, the sky is the limit.